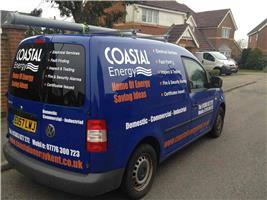 Coastal Energy Kent Ltd - Electrician, Renewable Energy based in Whitfield, Kent. Coastal Energy Kent Ltd is an established electrical, mechanical & renewable company & we work closely alongside NICEIC Approved Contractors Scheme, Kent County Council, Checkatrade & Construction Line to help deliver reinsurance that our work will always be undertaken in a professional manner & at a respectable price. Our company works within Kent and the sorrunding areas and If you are looking for a qualified, highly self-motivated company who enjoys achieving a professional standard of work and presents a common courtesy with in your home or workplace, then you have found the right company. Our knowledge & hands on experience cross a wide aspect of our industry from domestic, public, private right through to commercial and industrial environments like the railway sector and offshore green energy projects. Coastal Energy is team consisting of tradesman who follow Health and Safety to HSE standards all with the drive & passion to help Coastal Energy to carry on being an efficient respectable company within our community. Where we aim to provide a trusted, professional team with a solid reputation who hold strong relationships with our clients. This results with a service guarantee that you can always expect superb quality workmanship from our team. We do appreciate that you may have regular tradesmen working for you. If opportunity to tender arises for any projects you may have, please consider Coastal Energy as we will provide a quality, reliable service. All our engineers are certified with there governing approved schemes & experienced with a wide range of systems and projects. We have been installing, operating and fault finding electrical, mechanical & renewable installations for over 10 years. We are accustomed to fast-paced projects where deadlines are a priority and handling multiple jobs are where we most enjoy the challenge and take pride in our work.